Great strides have been made during 2016 to fulfill the premise and the promise of the Midtown Future Plan to foster collective impact and mutual benefit. By balancing the needs of businesses, residents, institutions, and City leaders, the community has successfully found common ground and moved projects forward. And all are moving on positive, community-wide paths that truly benefit everyone, whether it’s through the tax base or improved neighborhood services or better connectivity or more publicly available greenspace. Take, for example, Tarkington Park. The $6 million first phase is already eye-catching. Construction will stop and the fence will come down by the end of 2016. Landscaping will begin next spring because it’s too cold to plant now. The unique water park will open in late spring or early summer 2017, followed by the café. The City is currently interviewing all respondents to the Request for Information (RFI) about café operations and will use those responses to help shape a Request for Proposals (RFP) to be issued in January 2017. There is strong interest in the café from more than a dozen prospective operators. City and neighborhood leaders have worked with potential vendors to encourage innovation in plans for how the café will serve the park. It is intended to be a hub of the 10.5-acre park and designed to spill into and integrate with it. 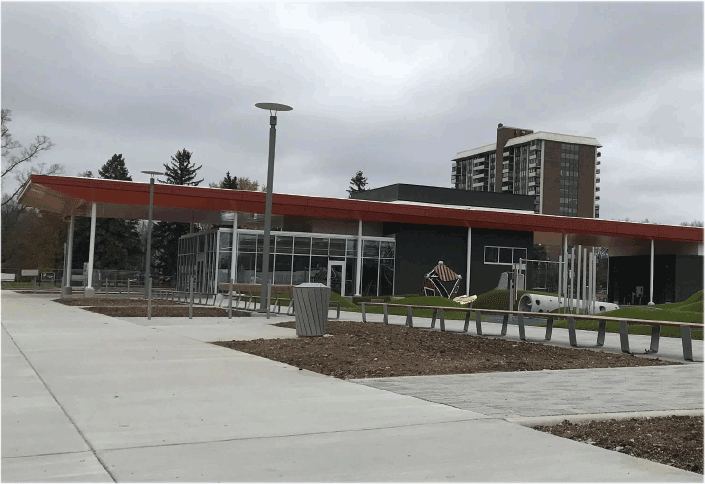 It will provide food and beverages for park users, including for weddings, private parties, concerts, performances, youth programs, or other events. To help with programming, Midtown Indianapolis Inc. and the Indianapolis Parks Foundation raised $290,000 to fund the construction of a stage and for planning for park operations. The Parks Foundation contracted with Biederman Redevelopment Ventures, one of the nation’s top park programming planners, to assist. In early 2017 they will take part in a comprehensive outreach to all stakeholders near and far and start to tackle the operations of the park and craft a programming master plan. There are three components to that plan: programming, operations, and maintenance. Two other transformative greenspaces are currently under construction and slated to open in mid-2017: Delaware Gateway along Fall Creek and the Canal Esplanade in Broad Ripple. The community has clamored for years for these improvements and each project has benefited from substantial community input. The entire City benefits from these greenspaces because anyone can visit and enjoy them. These green infrastructure projects are a big part of other infrastructure developments slated to begin in 2017, most notably the Red Line electric bus rapid transit line. Once Congress approves the 2017 spending bill, federal funding will be available for construction to begin. Meanwhile, construction planning is under way. 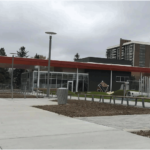 While Red Line construction includes provisions for many infrastructure improvements along the whole route, alleys remain a crucial part of the success of the bus line’s implementation, and funding to upgrade them is still needed. Midtown Inc. continues to advocate for the infrastructure needed to make transit work the way it should. There’s also a legitimate concern about business disruption along the Red Line corridor during construction, a process that will take a year. That’s a long time but we are confident the benefits will far outweigh the short-term inconveniences. Midtown will continue to work with all affected businesses. 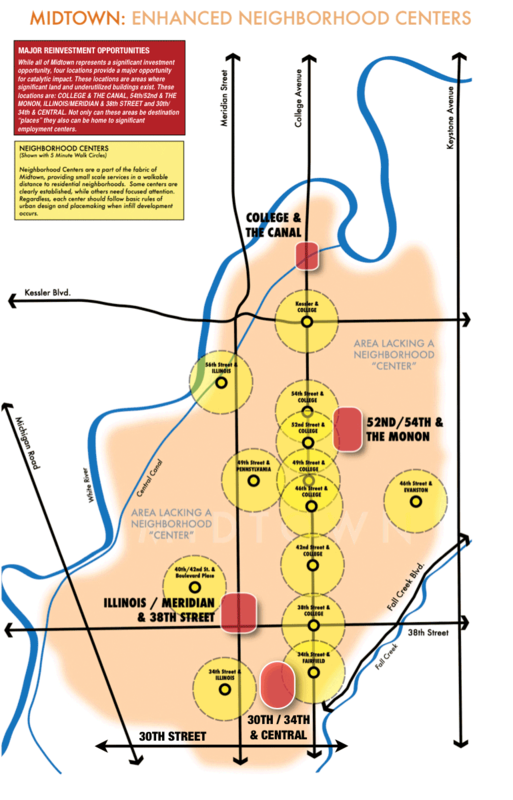 The Indy Chamber has created a construct of splitting the Red Line construction corridor into three segments: College Avenue, Meridian Street, and Virginia Avenue/Shelby Street. The construction team has pledged to work with property and business owners based on their specific corridor. Resources are being pursued to help businesses in the event cash flow goes down. We will measure the current economic conditions, including customer counts and sales figures, in order to monitor those in real time throughout the process to see how construction is affecting sales, staffing, and customer access. We want to help with signage and other resources to help bridge any gaps that are created, and will provide clear communication throughout construction to let neighbors where closures will be and for how long. In partnership with the Red Line team we have advocated that the City increase striping on side streets adjacent to College Avenue in order to create delineated parking spaces. We can anticipate some needs like that but we want businesses to tell us what they’re dealing with and to work with us to address any problems. We’re all in this together. The Midtown Anchor Coalition (MAC) has committed more than $300,000 for down payment and home repair assistance in an effort to attract more of their employees to live close to where they work. Right now, less than 11 percent of the 2,300 employees who work at Midtown’s anchor institutions actually live in or near Midtown. The goal of this program is to increase the number of anchor-institution employees who live in Midtown and to encourage home ownership among the anchors’ employees. MAC members understand the benefits: greater employee productivity and satisfaction, shorter commute times, and a greater engagement of employees in the community where they work. These financial incentives can be used in the entire Maple Crossing area plus parts of southern Butler-Tarkington. This area was selected because it’s one of both need and opportunity. While there already is some market stability, there is still 33 percent housing vacancy. MAC anticipates being able to help between 25 and 40 employees purchase or repair homes in the target area in 2017. The neighborhoods will benefit from reduced housing vacancy, increased stability, and greater support for local businesses, schools, and other organizations. By helping the MAC institutions achieve their missions, Midtown Inc. helps our district achieve its aspirations. A number of multi-family housing projects are either in progress or planned for Midtown. In 2017, Central @ 29th will be the first multi-family housing project to break ground in Mapleton-Fall Creek in five decades, and will provide a range of affordable housing options. The Win began leasing 2- and 3-bedroom apartments along the Monon Trail in Broad Ripple this year. Those residents will have company soon when The Coil’s 150 upscale apartments become available in 2017. The Village’s housing stock is slated to grow even more with Park 66 Flats and two new mixed-use projects that will break ground in the Village in 2017, replacing the Riviera Building and Rogers Pools buildings. Groundbreaking for the first major mixed-use infill development in alignment with the recently adopted Meridian-Kessler Neighborhood Plan and Indy Rezone city ordinances will take place in 2017 at the AT&T site on College Avenue. After nearly a decade of conversations, the board of directors at North United Methodist Church has voted to pursue a partnership with Midtown Inc. and Flaherty and Collins to redevelop property the church owns at the corner of 38th and Illinois streets. Once the church membership adopts the board’s recommendation, pursuit of a grocery tenant to anchor the mixed-use development will follow. Flaherty and Collins is already working with Midtown Inc. on the redevelopment of the United Way building at 39th and Meridian streets. The partnership’s goal is to pair the projects together for a single application for tax credit subsidies for the combined $32 million in projects that will add 220 residential units, 35,000 square feet of retail/office space, and around 400 parking spaces in Maple Crossing. The partners will pursue financing with the state and the City in hopes of being able to break ground in early 2018. All told, projects worth nearly $150 million are happening in Midtown, 100 percent aligned with the Midtown Tax Increment Finance (TIF) plan for the Economic Development Area (EDA). It’s clear the economic impact is not just large-scale redevelopment. The market is reinvesting in areas that haven’t seen this level of growth or investment in decades. And it’s coming in ahead of transit because research shows that people understand the impact transit will have. People are repurposing obsolete, vacant former commercial space like the Double 8 building at 46th Street and College Avenue and a dozen other businesses in SoBro. New businesses along the College corridor have arrived, like Open Society, or expanded, like Fat Dan’s, or spruced up, like Moe & Johnny’s and the Red Key. 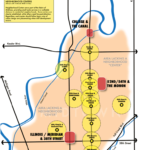 You have different circumstances at each of Midtown’s nodes where something is happening: 54th and the Monon is different from 38th and Illinois or 29th and Central or Broad Ripple Village. Each node faces unique challenges, and each has a unique opportunity. What Midtown Inc. did with the TIF and the EDA and land-use advocacy and planning was identify the obstacles, identify the paths forward, and start marching. It’s working because there are clear land-use plans. It’s working because transit is coming. It’s working because investment follows investment. Consider the catalyst ideas of the Red Line, of the Broad Ripple Parking Garage, of the TIF nodes. We said to the market, “Focus here and we will be with you.” The market has focused on Midtown, and look at the spillover effect. The Esplanade, the Coil, Tarkington Park, and Central @ 29th projects are all TIF recipients in some way, totaling around $10 million. In return, Midtown has gained close to $80 million back. Beyond all the economic activity breaking ground or coming online in 2017, tens of millions of dollars of additional investments are in the background. This progress didn’t happen overnight. It took planning, patience, collaboration, and focus. 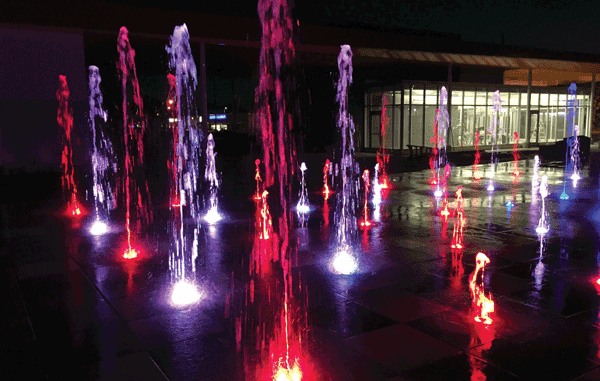 Midtown Indianapolis Inc. and its partners have been laser-focused over the last decade on economic growth, placemaking, and implementing the plan. The results of our collective work are visible throughout Midtown. It’s why we engage in planning and go to hundreds of meetings and hearings because we know that with focus, it works. With your continued involvement, we will remain focused on fulfilling the promise of a vibrant and healthy Midtown for the benefit of our residents and our City. Michael McKillip is the executive director of Midtown Indianapolis Inc.
A version of this article appeared in the December ’16/January ’17 issue of the magazine.